166 items of English books, 5 items of German Books, 91 items of Japanese books, and some pamphlet, picture card, article, & pictures. 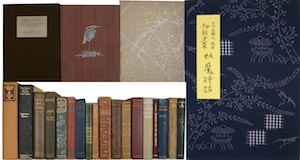 Including first edition. 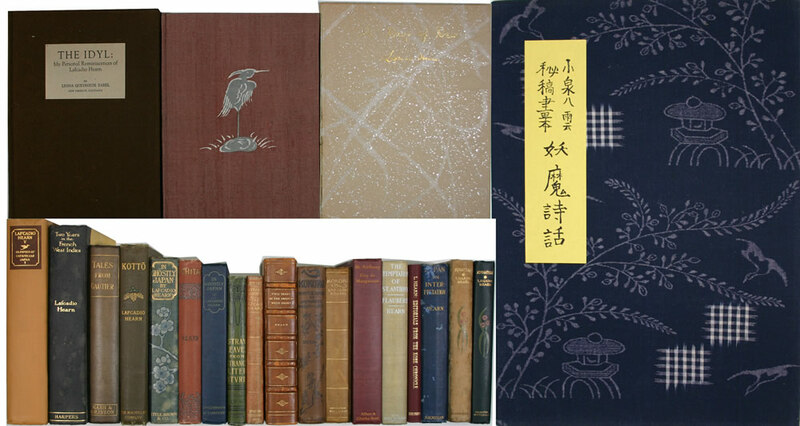 "A Japnese Miscellany", "An American Miscellany", "Appreciations of Poetry", "Books and Habits", "Chita", "Creole Sketches", "Editorials", "Essays in European and Oriental Literature", "Exotics and Retrospectives", "Gleanings in Buddha-Fields", "Glimpses of Unfamiliar Japan", "Gombo Zhebes", "In Ghostly Japan", "Insects and Greek Poetry", "Interpretations of Literature", "Japan", "Karma and Other Stories & Essays", "Kokoro", "Kwaidan", "La Nouvell Atala, ou la Fille de l'Esprit",　"Leaves from the Diary of an Impressionist", "Letters from the Raven", "Out of the East", "Poets and Poems", "Shadowings", "Some Chinese Ghosts", and Others. The list is available.